Prime Minister Sheikh Hasina on Sunday extended felicitations to Dr Rubana Huq for her victory in full panel under the banner of ‘Sammilita Forum’ in Saturday’s election to the BGMEA Board of Directors. 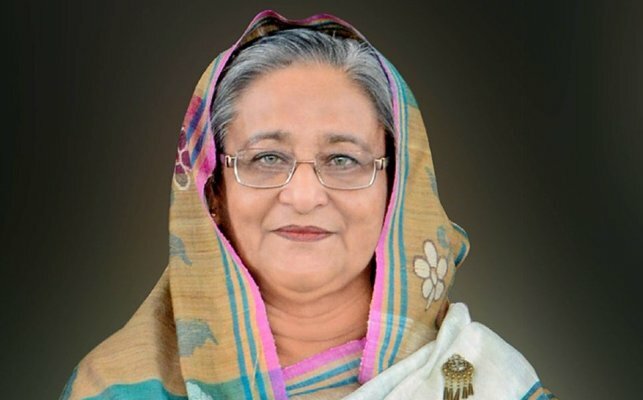 Prime Minister’s Press Secretary Ihsanul Karim said Sheikh Hasina extended her heartfelt greetings to Dr Rubana Huq for being elected in full panel for a two-year term of the Board of Directors of Bangladesh Garment Manufacturers and Exporters Association (BGMEA). She wished success of the newly elected panel, he said, adding that Rubana Huq also greeted the Prime Minister by presenting her a bouquet. The BGMEA Board of Directors is going to elect its new president by April 20 and Dr Rubana Huq is expected to be the first female chief of the association of country’s garment industry owners and exporters.